The game’s subreddit group tallied the losses throughout the day which ended when the game’s homepage and forums were finally taken down. The Watch List calendar and the game’s page on the site have been updated to reflect these final details. Massively Overpowered, who has closely followed the drama surrounding Marvel Heroes, has reported by way of an anonymous source that Gazillion Entertainment has disbanded, laid off nearly all staff, and will be shutting down the game November 24th instead of December 31st. The source also shared parts of a termination letter delivered to Gazillion staff by CEO Dave Dohrmann that indicated creditors had “pulled the plug” on funding, and that accrued time off and health benefits were no longer being honored. Shortly after, a pair of former Gazillion employees tweeted to confirm and provide context (via USgamer). As of this writing neither Gazillion, Disney, or Marvel have made any public statements. Marvel Heroes is officially scheduled to shut down on December 31st but if you were planning to play a fond farewell to the game you may want to log in today, just in case. 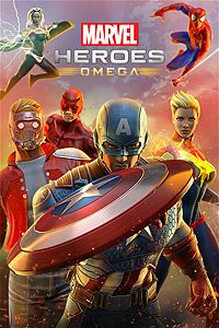 “We’re sad to inform our players and our entire Marvel Heroes family that Marvel Heroes Omega will be shutting down. The Marvel Heroes servers will stay on until Dec 31, 2017, and we’ll be removing real money purchases as soon as possible. Players will be able to play the game entirely for free once this sunset period commences. We will share the exact date things go completely free as soon as we can. The news is not entirely unexpected by fans of the game who have seen promised content updates slip and official social media accounts go quiet over the past weeks and months. Massively Overpowered has been chronicling the events surrounding Gazillion and sums it up rather nicely with this post. As of this writing the game remains available to download and play for free on Steam and Xbox One. The PlayStation Store page for the game in North America (US and Canada) is currently unavailable but is still accessible from European territories (AU, EU, FR, DE). The date has been added to the Watch List calendar and a full page will be coming soon to the site as the end of the year rolls around.